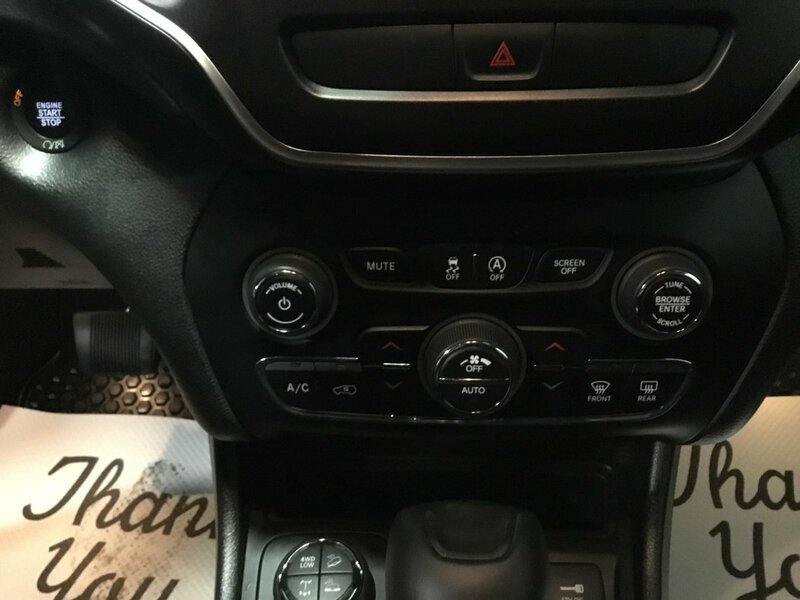 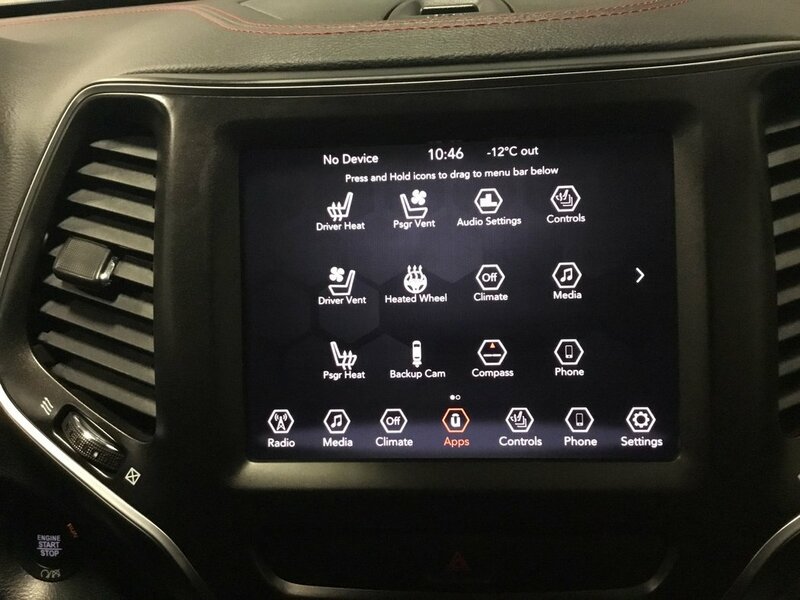 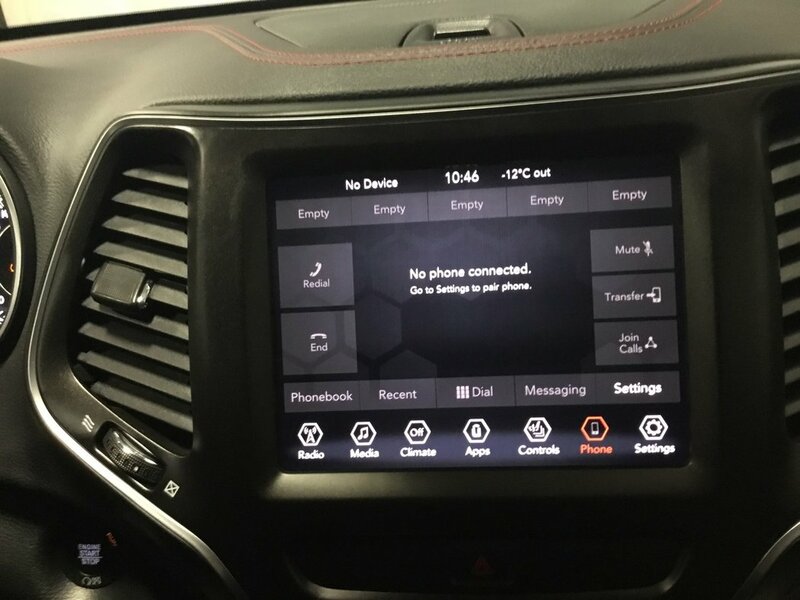 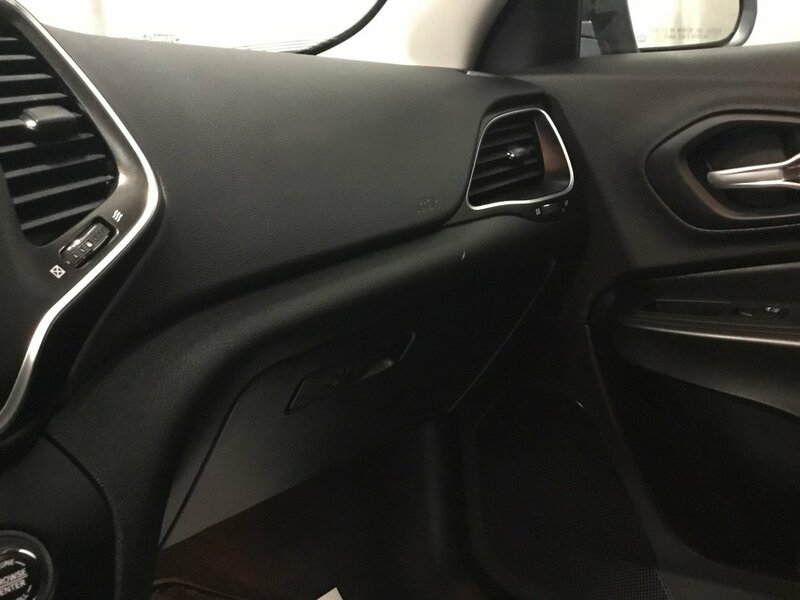 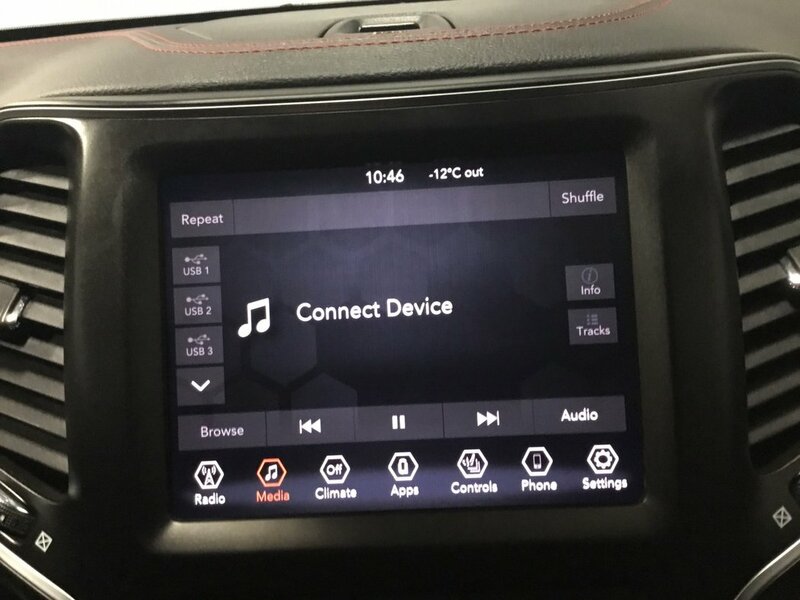 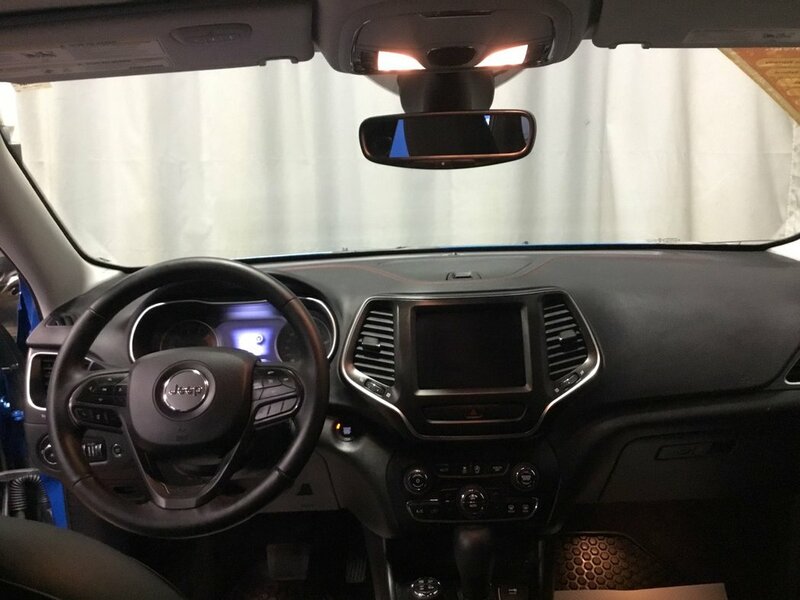 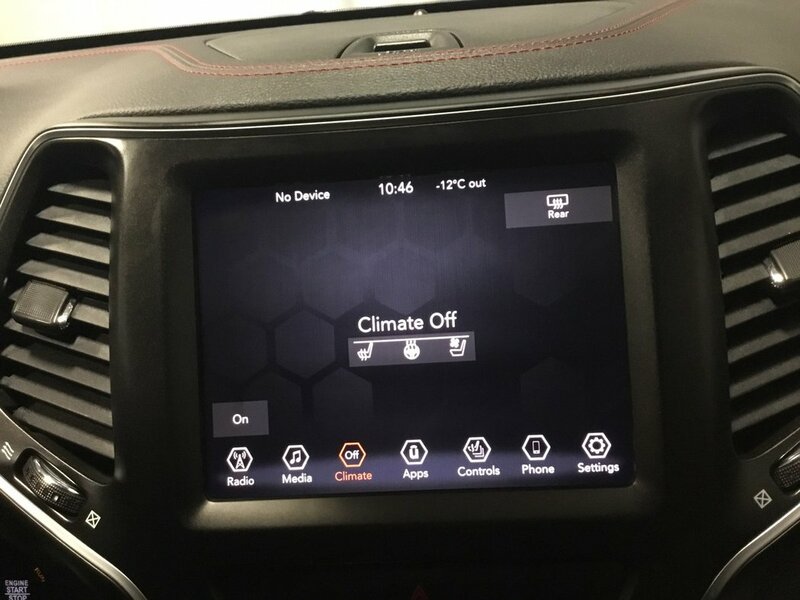 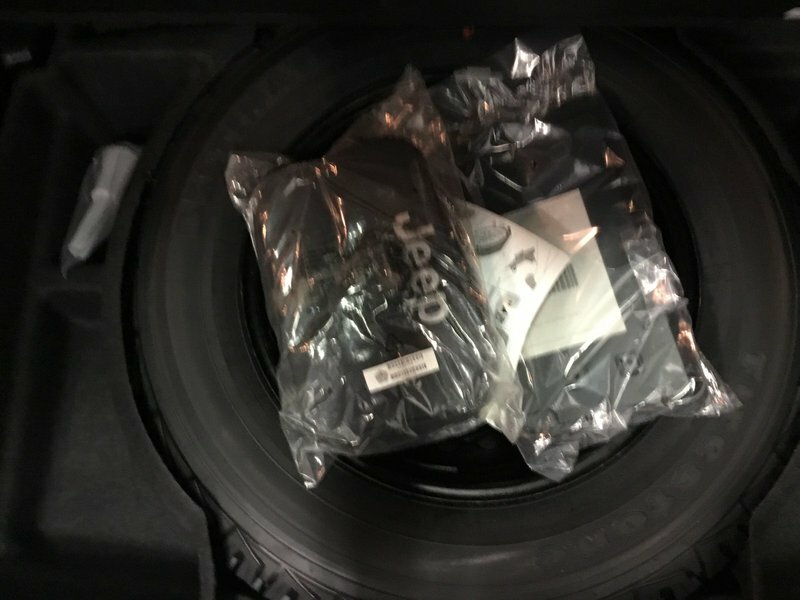 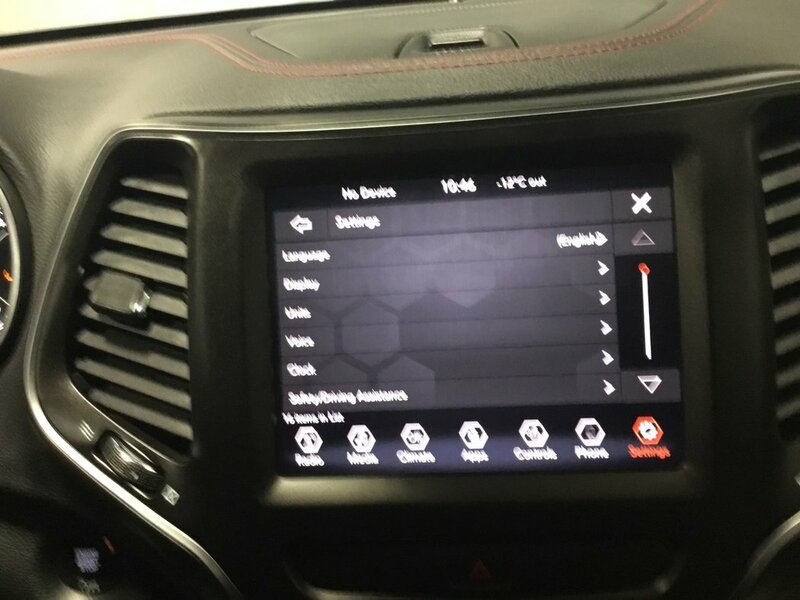 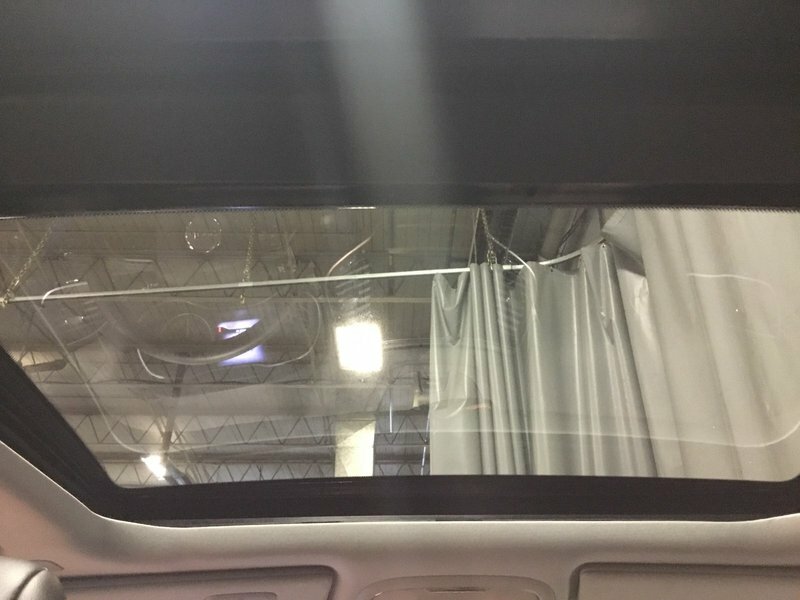 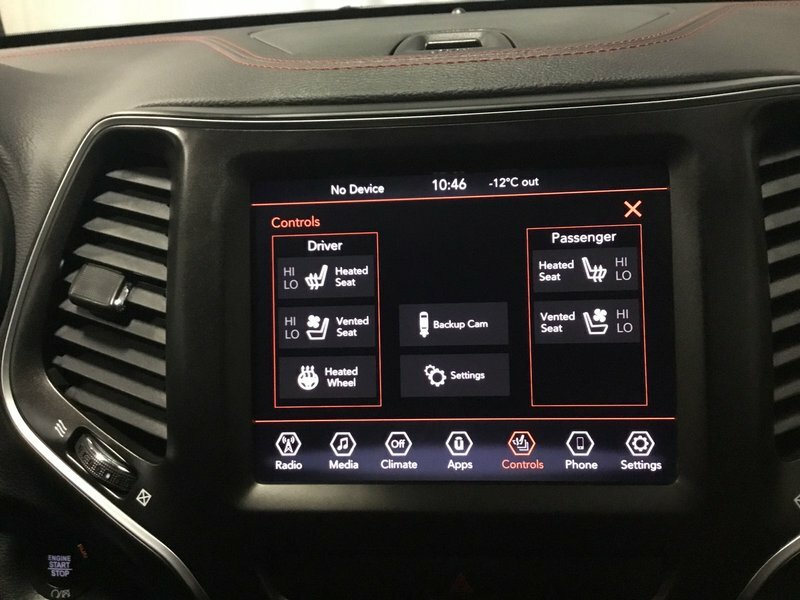 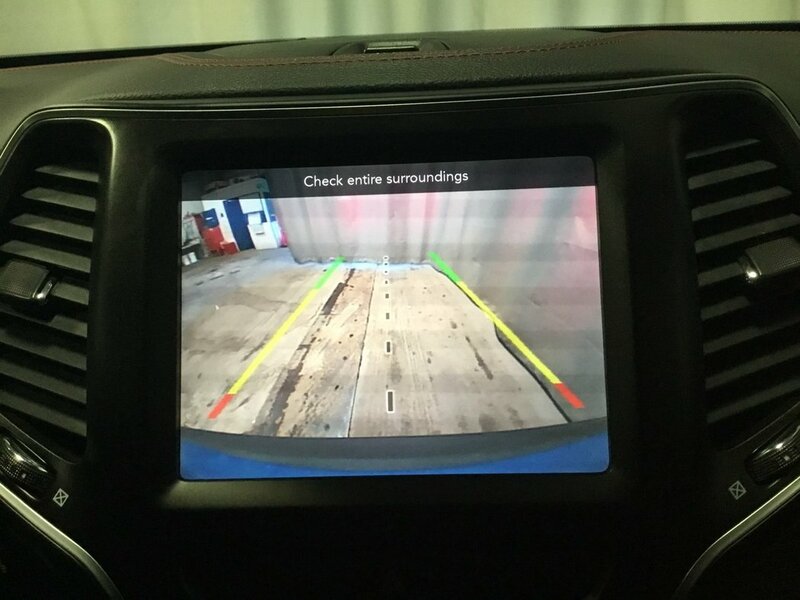 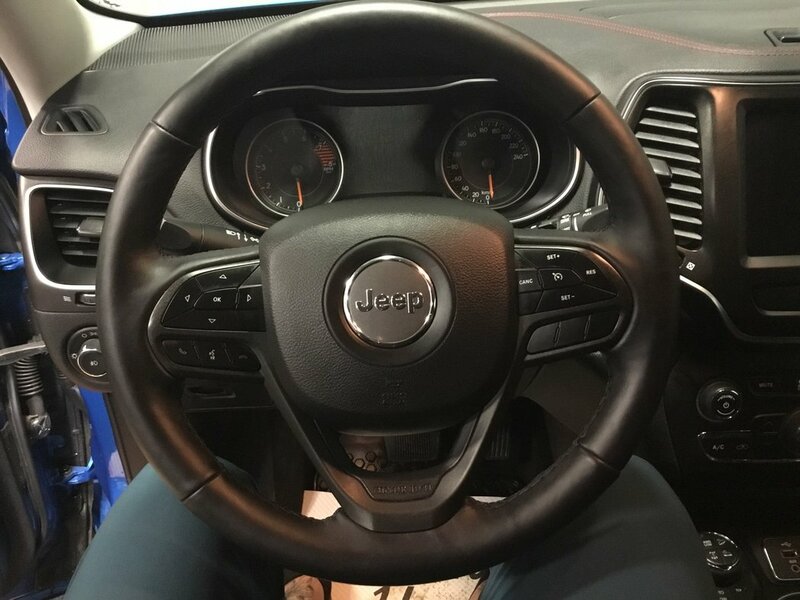 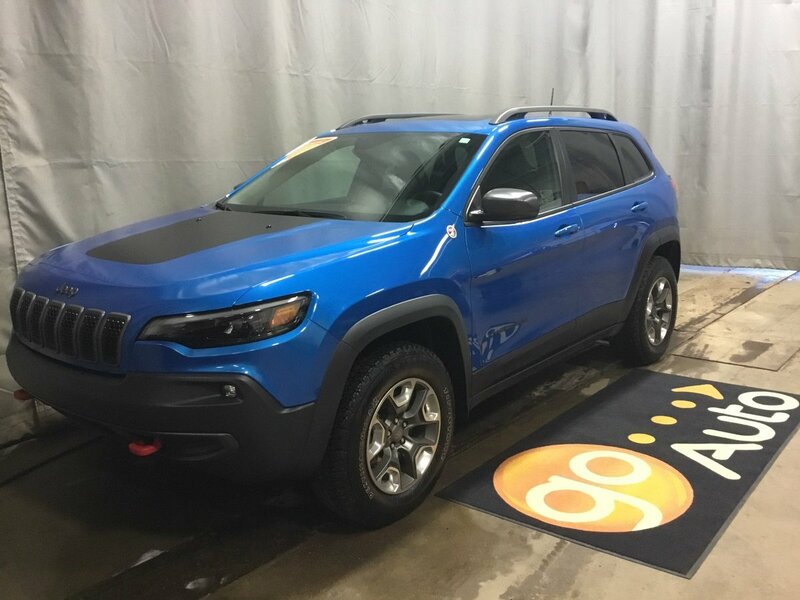 2019 Jeep Cherokee Trailhawk Elite--- Heat+A/C Leather, Sunroof, PWR Liftgate! 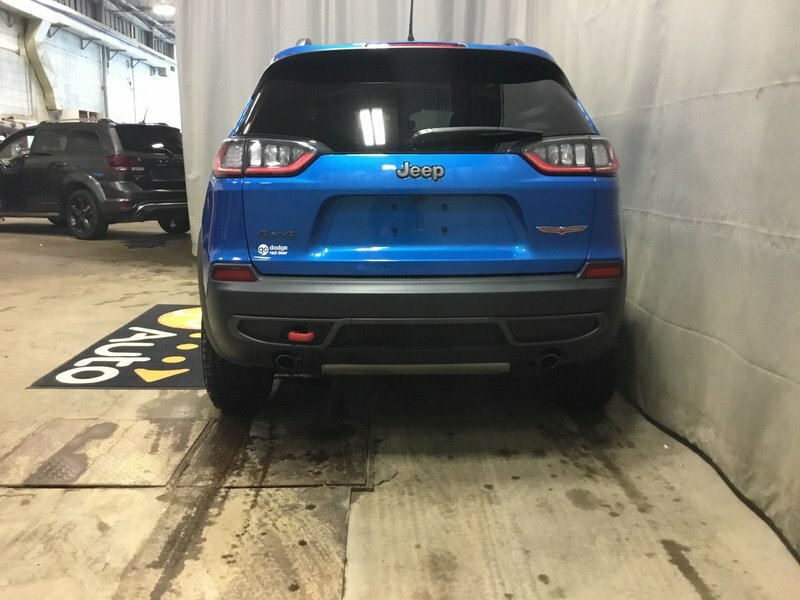 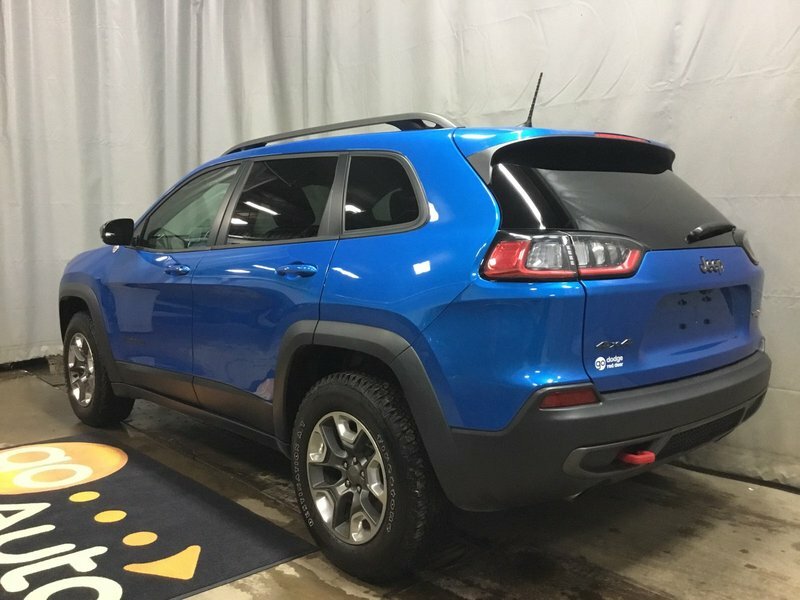 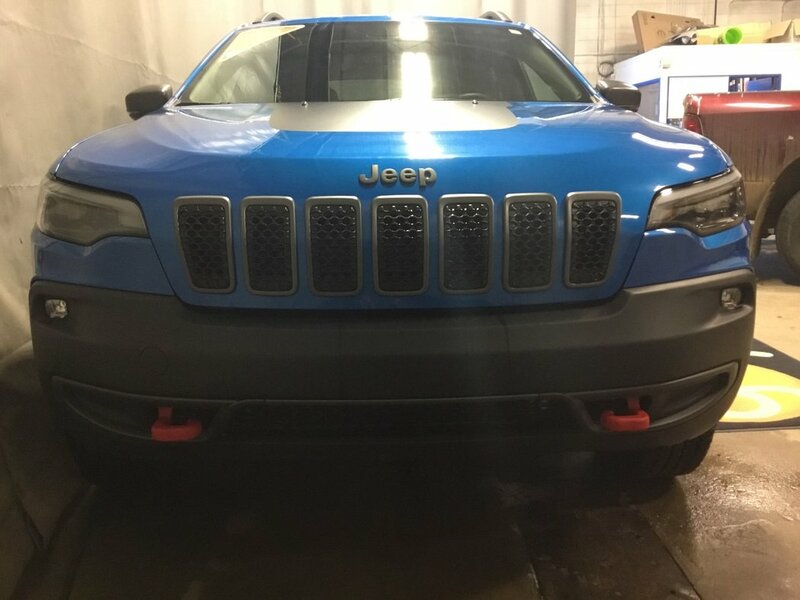 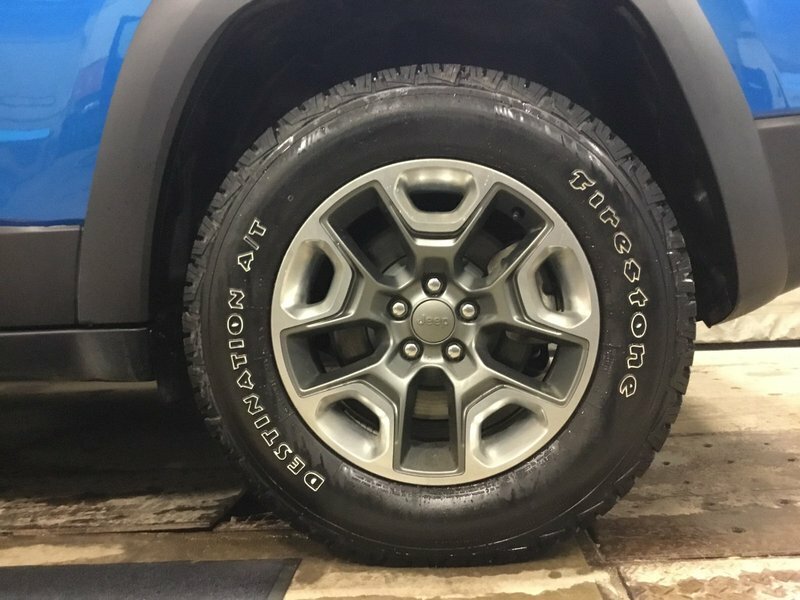 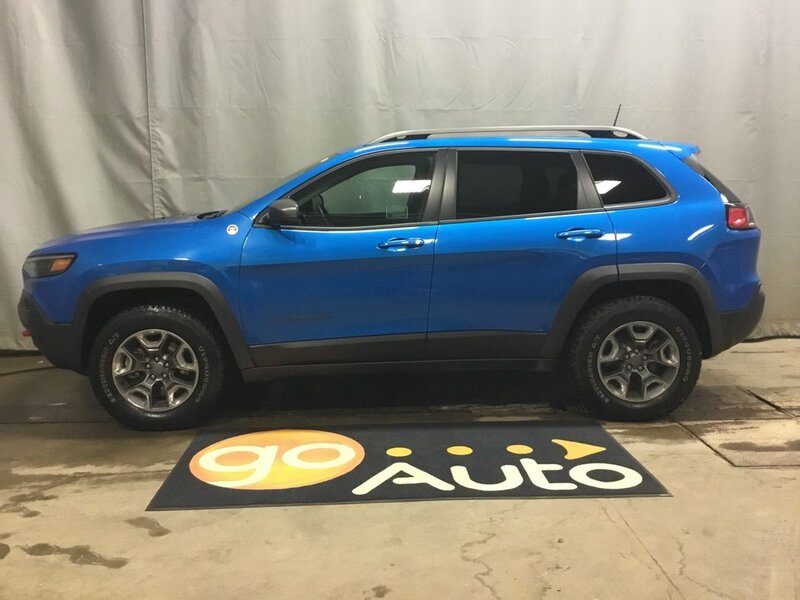 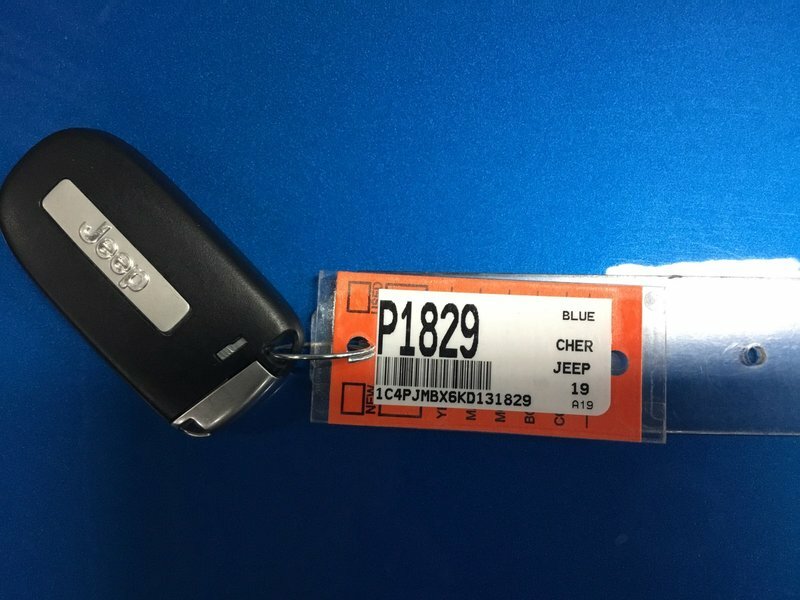 Check out this Accident Free 2019 Jeep Cherokee Trailhawk Elite that is shown in Blue! Under the hood is a 3.2 Litre V6 that is connected to a 9 Speed Automatic with 4 Wheel Drive. 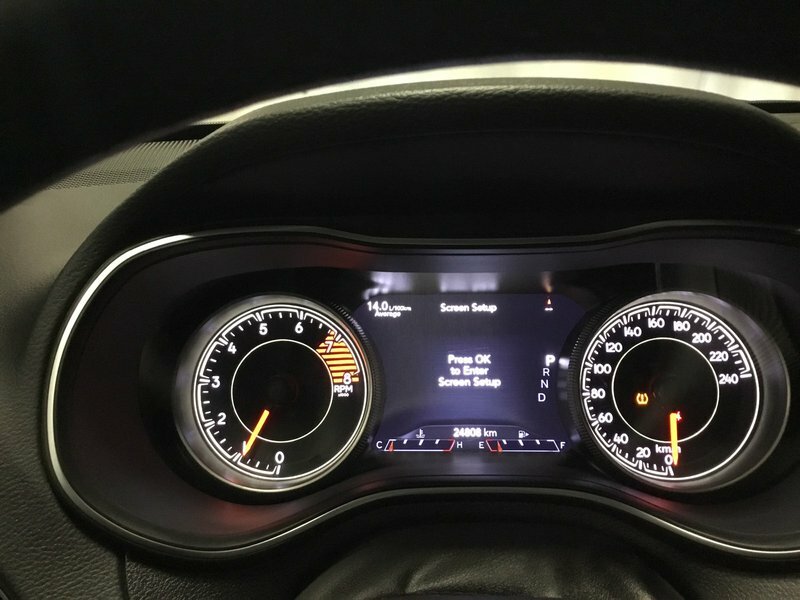 Together this combination earns you 9.80 L/100kms on the open road. 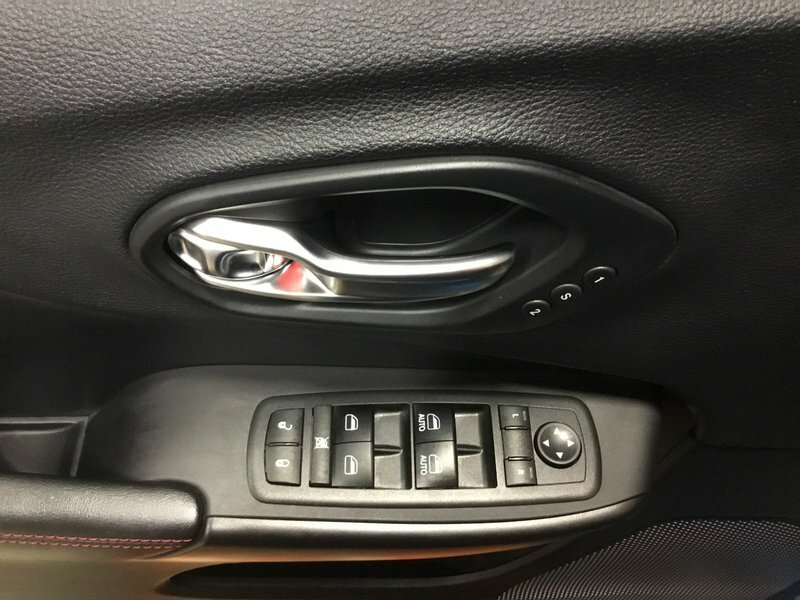 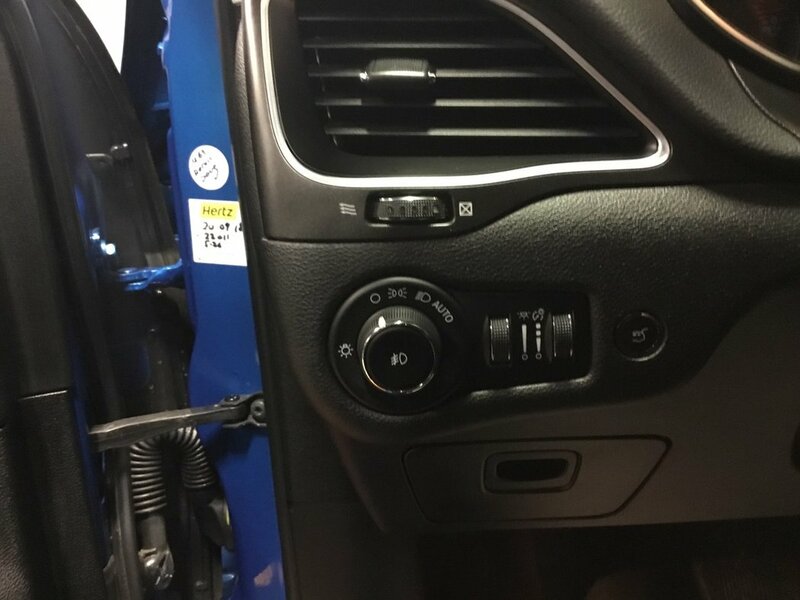 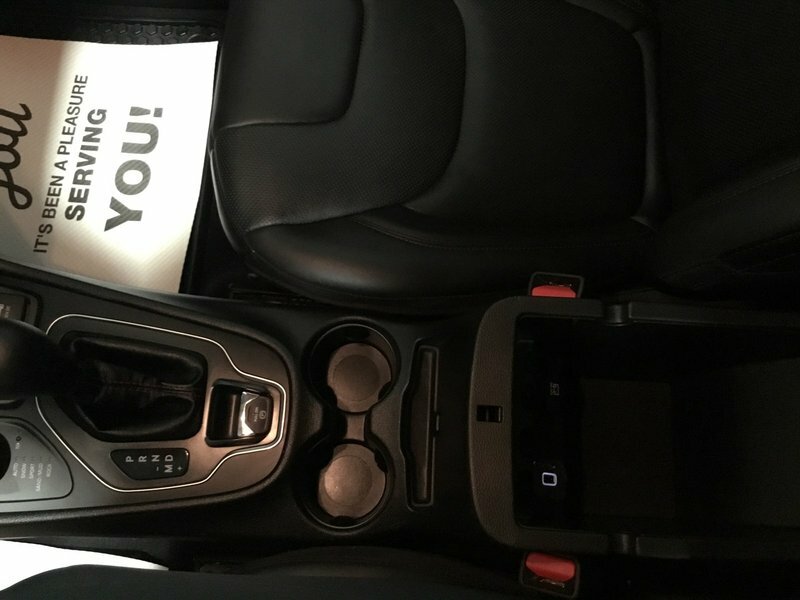 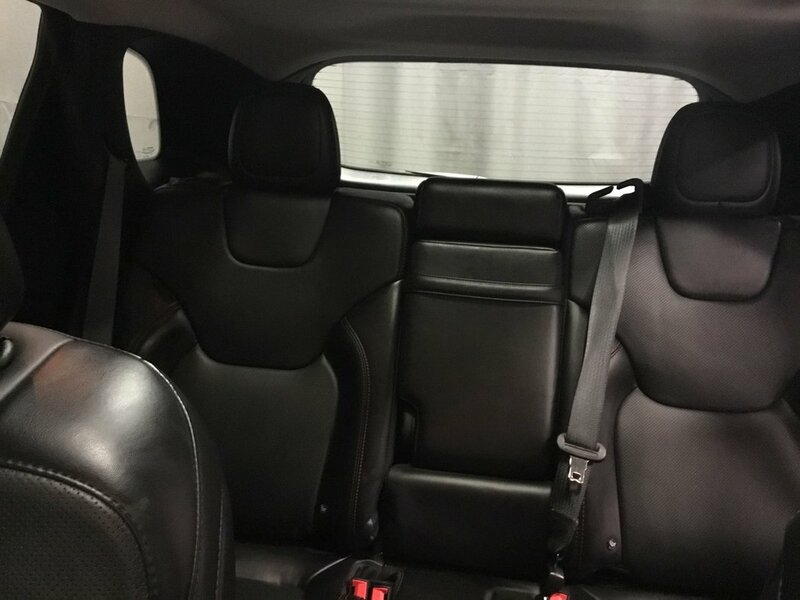 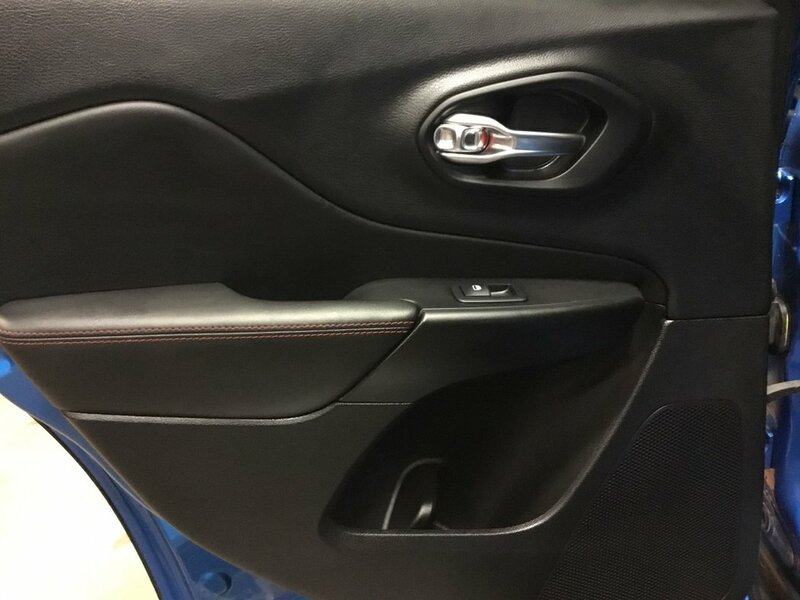 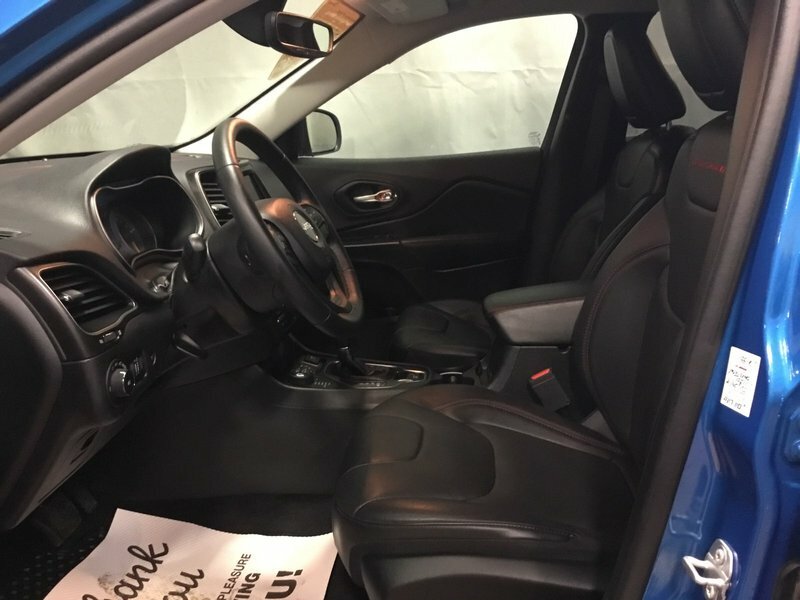 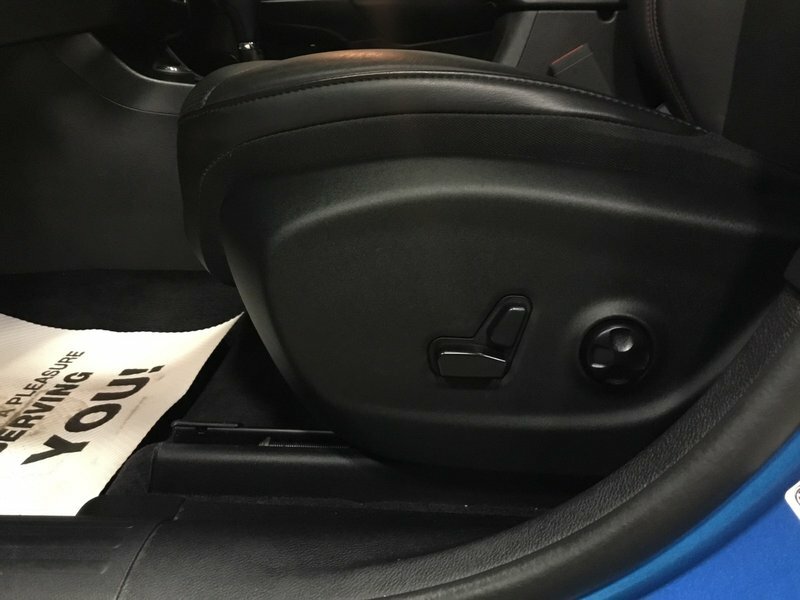 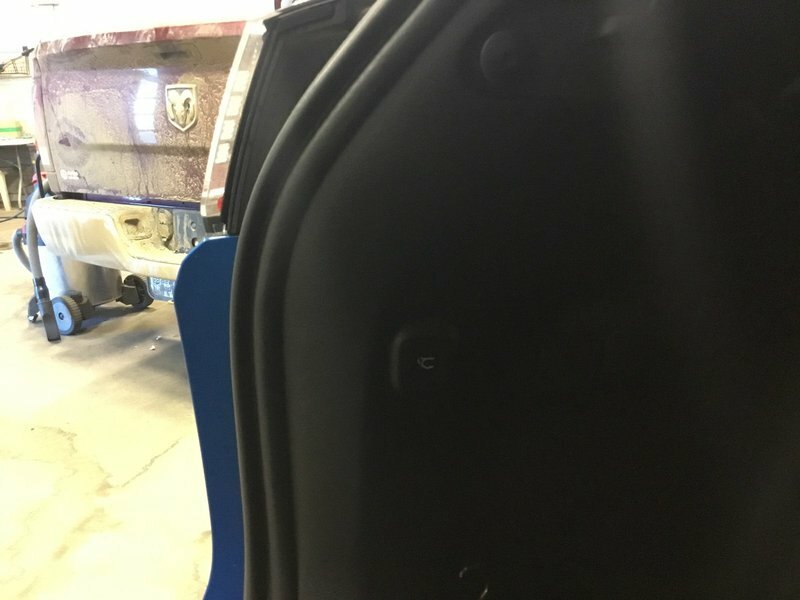 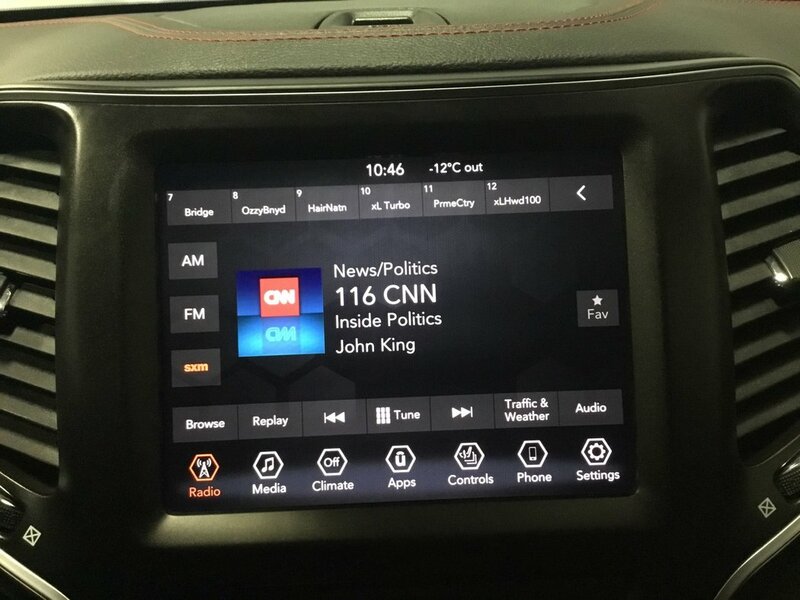 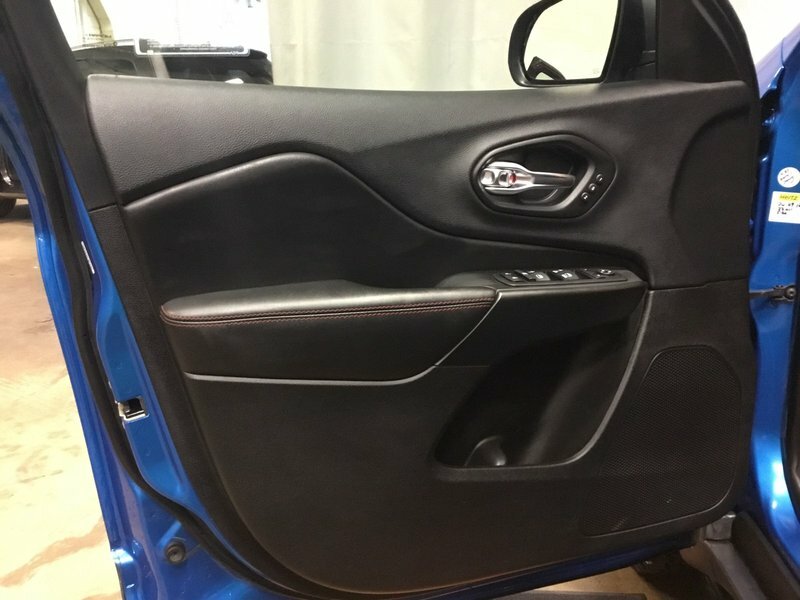 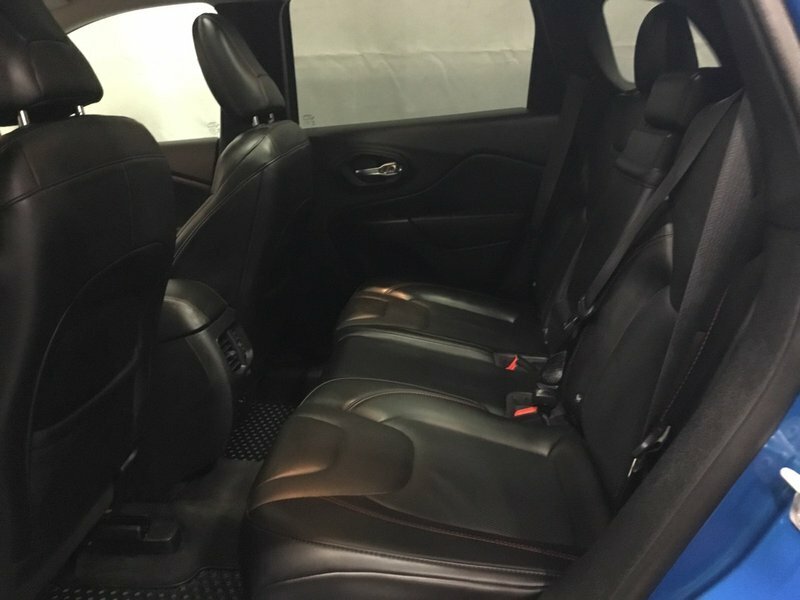 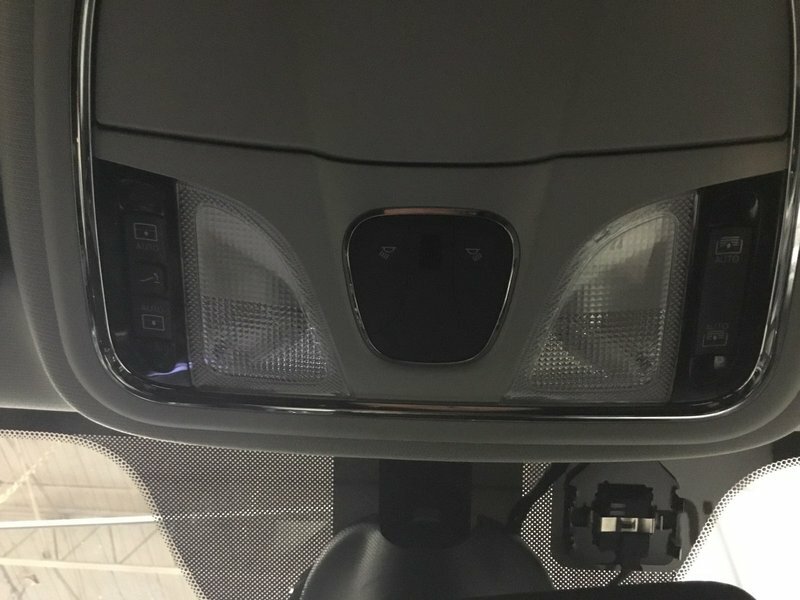 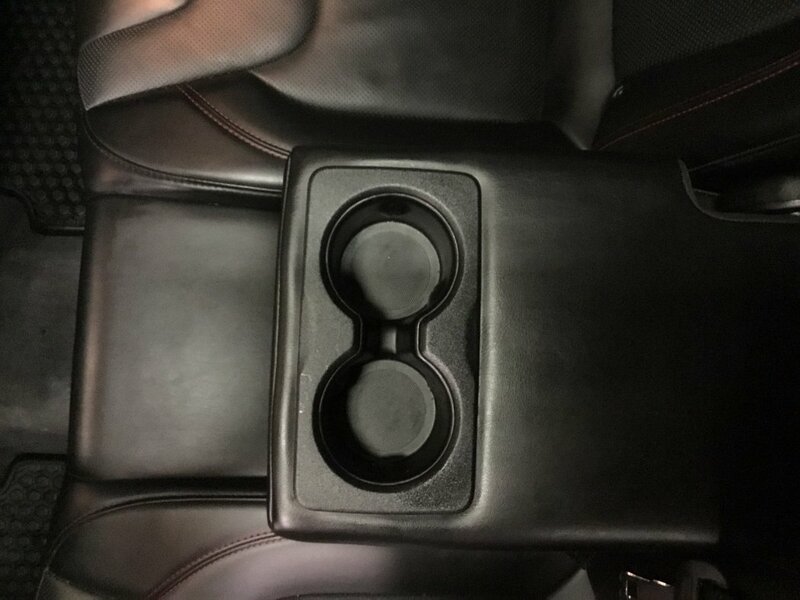 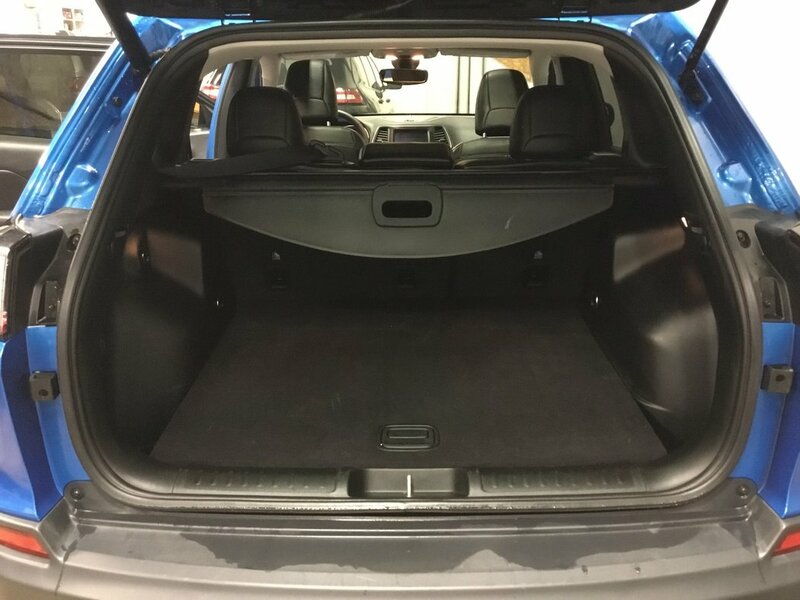 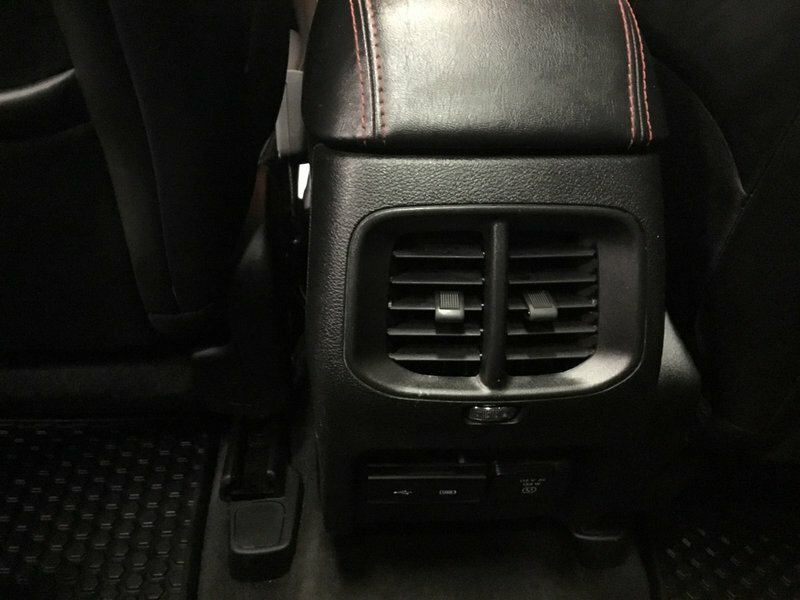 Inside you will be treated to power adjustable heated and ventilated leather seats, power windows, locks and mirrors, heated mirrors, heated multi-function steering wheel with cruise control and bluetooth, XM radio, dual climate control, media inputs, panoramic sunroof, power liftgate and remote start!